a few weeks ago, i moved to a new flat with a nice home office. The good thing is that i have finally enough space, but..this space is almost empty. that’s why i was looking for some “inspiring” stuff to place around me. 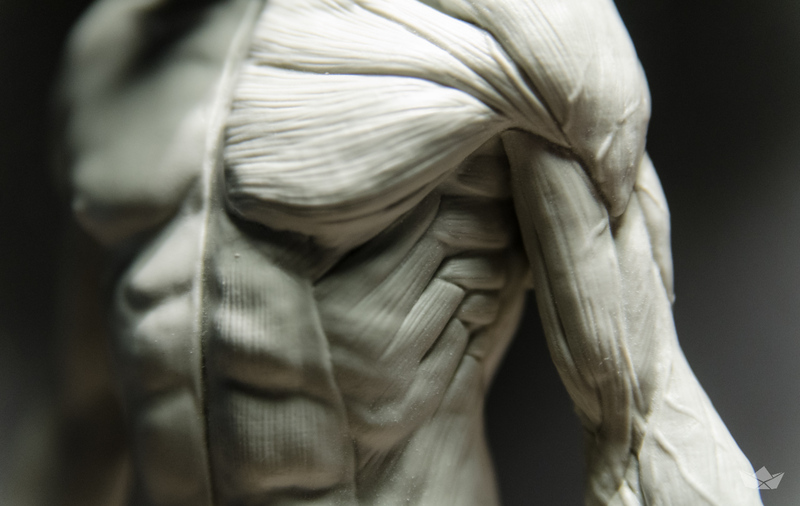 i started looking for a nice anatomical full body figure as a reference. 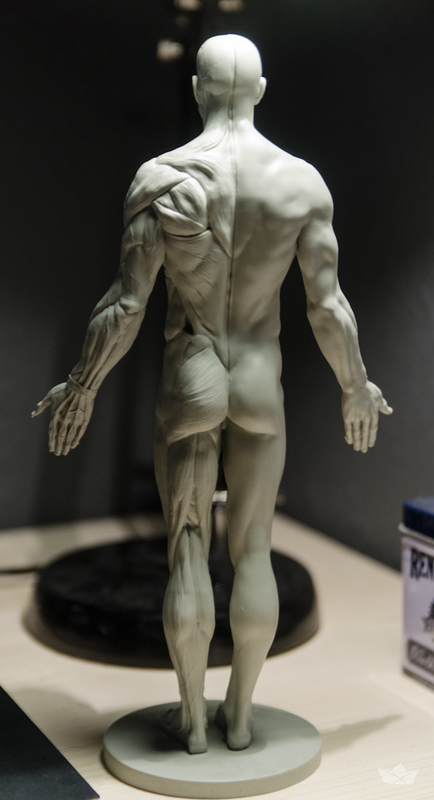 i mean, when you are working on a humanoid character, its always perfect to check the muscle and the structure of a “real”, working human. 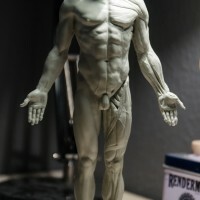 But, that problem with Anatomical Models is, that they are bloody expensive and when you buy a cheap, you will get something to small or even wrong anatomy. after that point, i was totally demotivated, was just to much money (probably worth it) was a planned move to a new flat, and buying are more or less accurate model is just stupid. 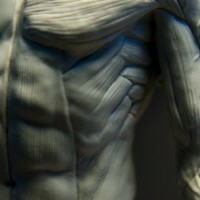 One day i saw the news about Kickstarter Project from 3d Total. 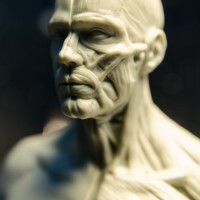 It looked so promising, i mean a payable figurine with all the details under the skin but without losing the information of the “top layer”. 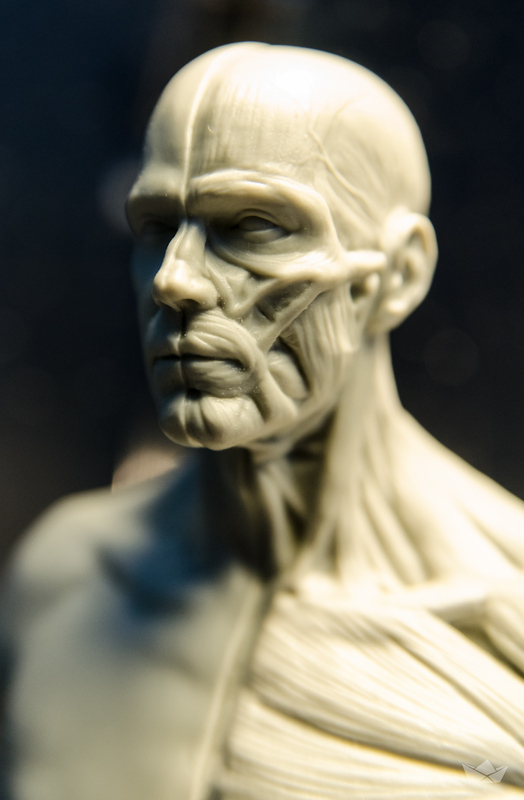 “Whether you use pencil and paper, paintbrushes, clay, or any form of digital art software, our figures will be invaluable if you want to understand the form and structure of human anatomy. 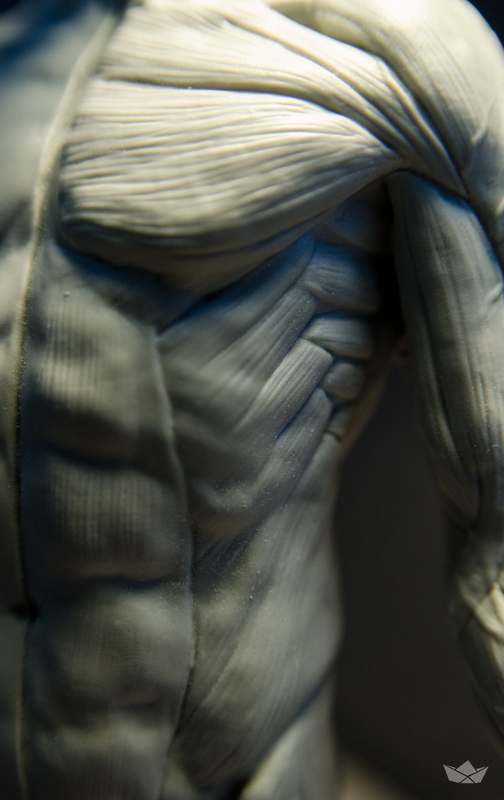 Our first figure is a neutrally posed, athletic build male standing at 11 inches tall. 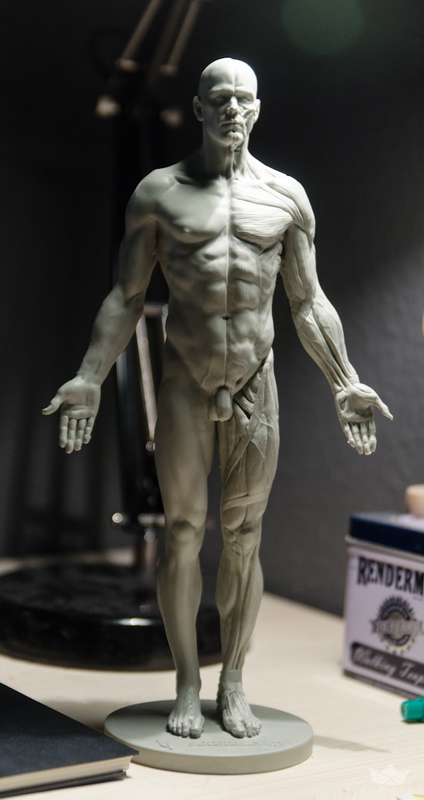 This size and low price tag makes this model a perfect desktop reference, while also maintaining all the detail you’ll need. 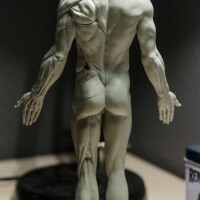 The figure has been sculpted for 3dtotal by Federico Scarbini and Dan Crossland, printed using a top quality 3D printer by Ownage, and then cast in grey resin to make the variation in the surfaces and directional flow of the muscles easy to see and understand. 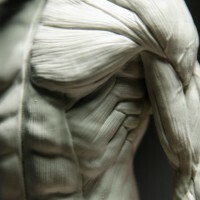 One half of the model shows full skin, while the other is a clear and detailed dissection revealing muscle structure.